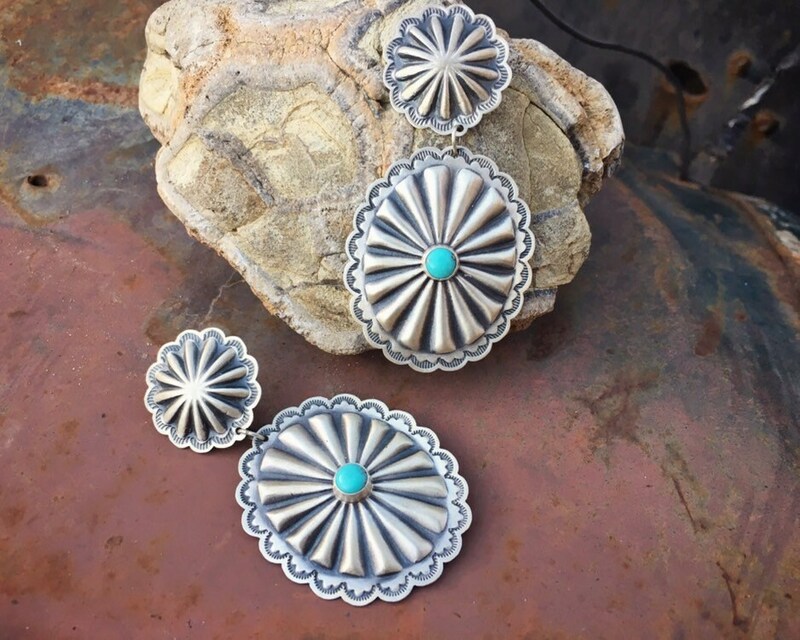 These large brushed sterling silver concho earrings are by Navajo artist Charley Joe, who comes from a well known silversmith family. 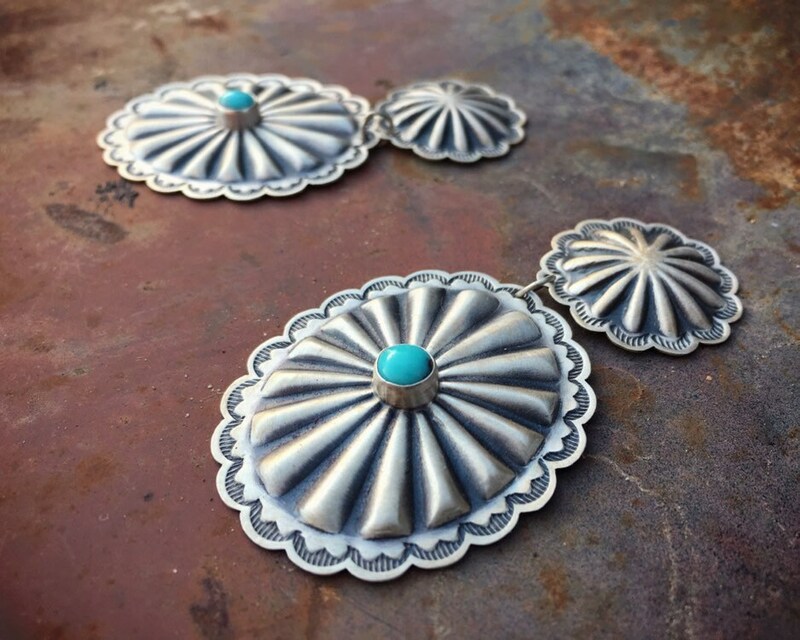 The earrings feature beautiful stamped designs and silver repousse, and oxidation that creates depth and beauty. 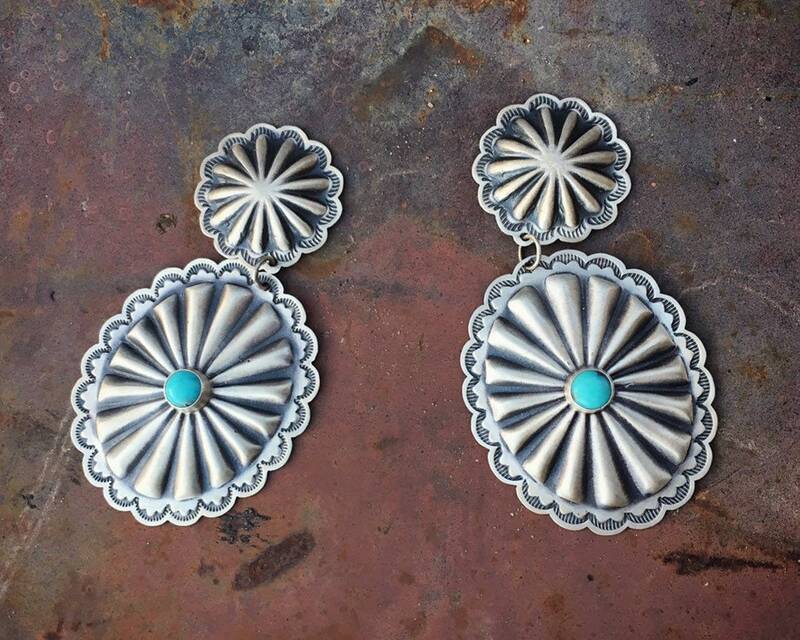 Each earring has a cabochon of light blue turquoise--possibly block turquoise--with black swirls or matrix. 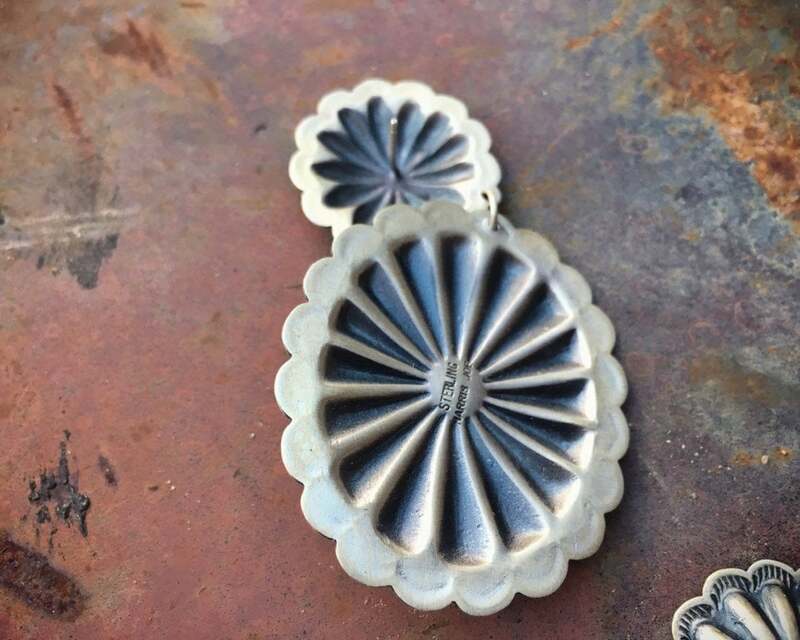 One signed on the back with the artist's name, and the other signed with the word STERLING. 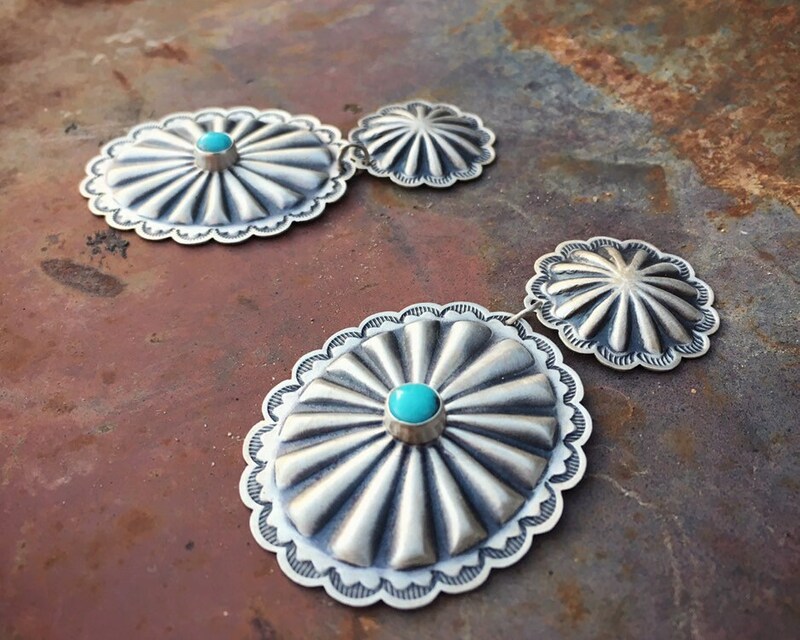 Each earring has a round concho at the top measuring about 1" in diameter, and a large oval shaped concho measuring just under 1-1/2" wide by about 1-3/4" tall. 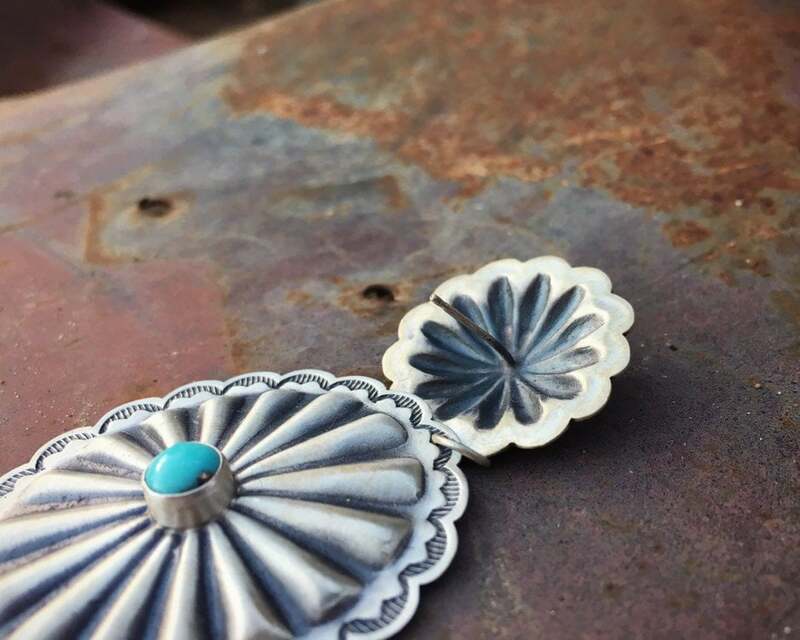 Total earring length is 2-3/4" and they dangle to about 2-1/4" down given the post is about 1/4". 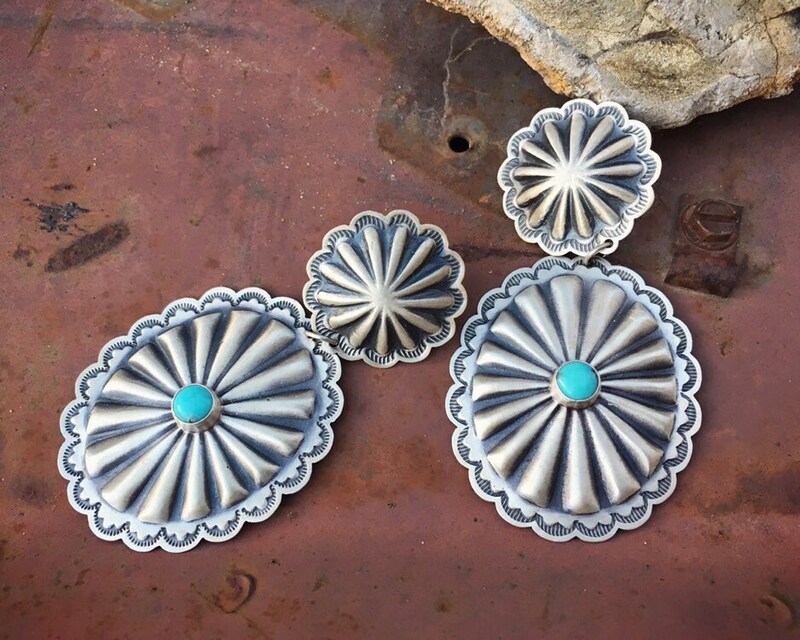 Navajo earrings for the person who lives large!